When was the last time you described any of your cab booking experience as “fantastic”? if not, then your next booking spot should be ixigo Cab App. Wondering what is it all about? ixigo cabs helps you book the most cheapest cabs across all the leading cabs provider in India. You can find the nearest cabs, compare the prices and book cabs from Uber, Ola, Meru, Easycabs etc. in just one click. Attention cab users! ixigo has partnered with Uber which gives you an advantage of booking a ride without installing the Uber app on your device. 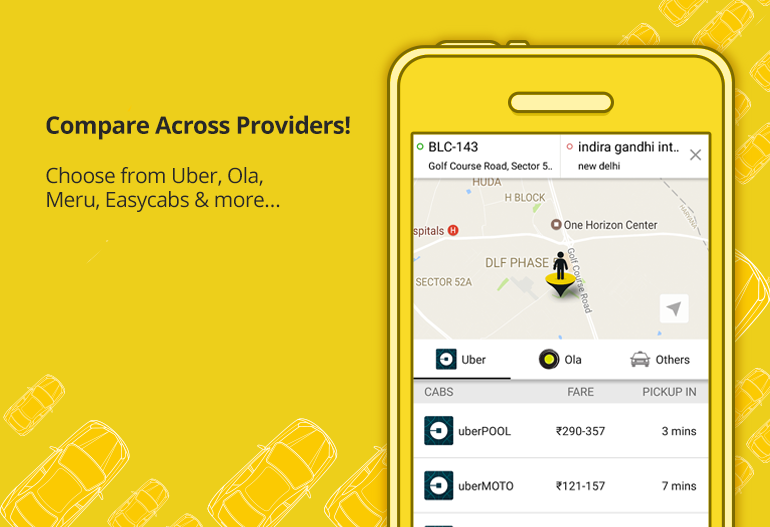 So forget about downloading multiple cab apps and save space in your phone. 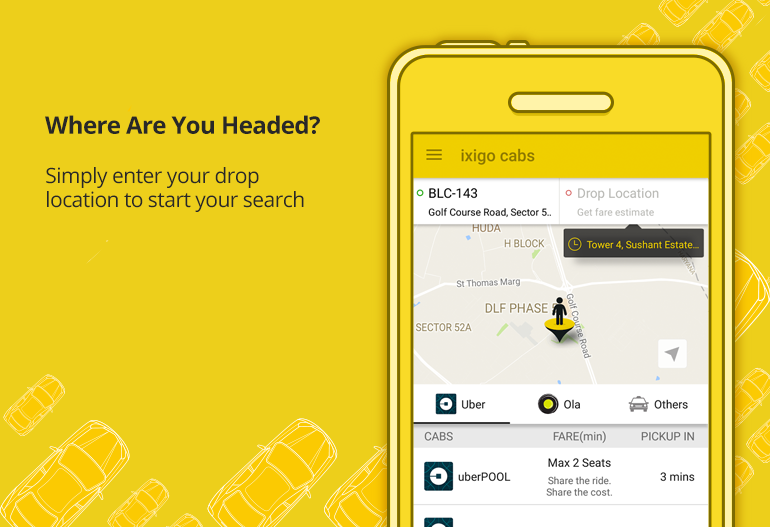 Go book a ride with ixigo cab app for a hassle free experience. ixigo will soon make cabs live on ixigo’s train/flights app which will let you book a cab through ixigo train app and ixigo flight app. So, now if you have a confirmed PNR, the ixigo train/flight app will contextually remind you to book a cab. So before your departure from the origin or arrival upon your desired destination, ixigo will help you in every step whether you are booking a ticket for train, for flight or booking a cab. 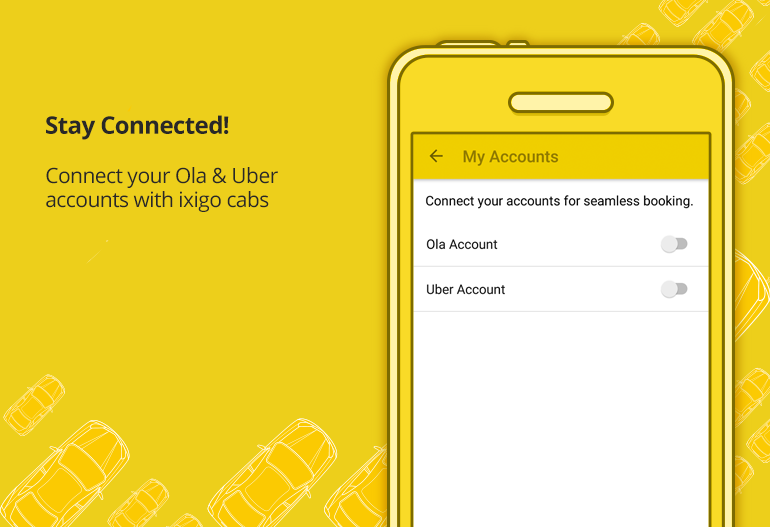 No to forget, ixigo cab app lets you book cabs within 3 seconds with it’s “1-Tap Cab Booking” feature. 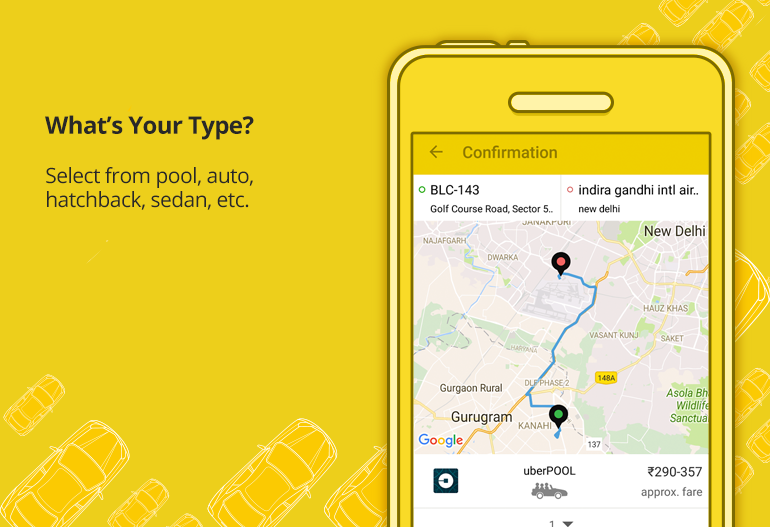 This first-of-its-kind feature allows you to book cabs from the app even when you do not have internet or GPS available. 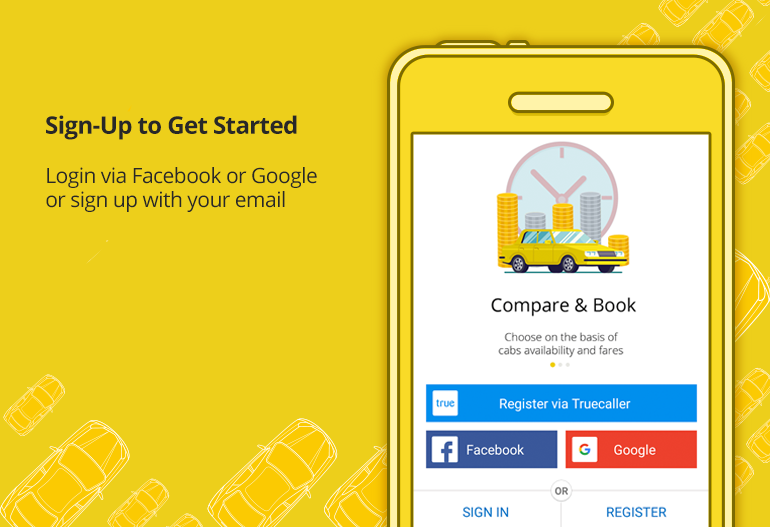 So now with ixigo cab app, make your life simple and save time by comparing cabs of all the leading cab providers and book your rides at lowest rates. Happy travels!